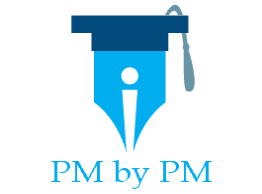 / How To Crack PMBOK Guide 6th Edition PMP ITTO Questions? In this post I have described the strategies to answer PMP ITTO (Input, Tools & Techniques, Outputs) questions without the need to memorize them. These strategies will help you to learn PMBOK ITTO for answering CAPM and PMP exam questions. This post is based on my PMBOK ITTO Concepts eBook. The eBook contains ITTO learning strategies for successfully passing the CAPM & PMP certification exam in the first attempt without remembering or memorizing the ITTOs. The eBook is quite detailed and comprehensive. I have compiled it after understanding the challenges faced by PMP aspirants. I have applied a few of the eBook’s strategies to answer a sample ITTO question in this post. Every month, thousands of people attend 35 contact hour training, but only a fraction of them apply for the exam. Many of them wait for years before they can muster enough courage to take the exam. With each passing day, the number of such people just increase. Do you know why aspirants are not able to write the exam? One of the prime reasons is that they are afraid of PMBOK ITTOs. Let me show you a way to overcome this fear and answer the exam questions logically. Note: You can also download free PMP ITTO Chart before reading further. It will help you in your studies. Most of the questions in the exam are knowledge based & situational. Even the direct input/output questions come in the garb of the situational questions. Let me show you it to you with the help of an example. Let us look at a typical question. This question was posted by an aspirant on the Linkedin group that I moderate. How to Answer Sample ITTO Question? Initially, you will find this question a bit challenging. But, after reading the rest of the post, you will find it extremely straightforward. In future, you will be able to answer such questions correctly without breaking a sweat. Let us read the question again. The answer to the question is within the question itself. I have highlighted the key phrase in green color. The question says “…some alternative techniques to generate different approaches…”. It is very difficult to answer this question correctly, if you cannot identify the key phrase. In addition to identifying the key phrase, you need to understand the meaning of “alternative techniques”. But before we look at the key phrase let us look at some other phrases. I have highlighted two more phrases. Let us understand them. If you see the words like “…identifying…”, then the question is most likely from either Initiating or Planning Process Group. The question might try to throw you off course by including phrases like “…execute and perform the work…”. You may think that it is an Executing Process Group question. But if you read the question carefully, it says “…identifying…something…to execute…”. So the main task is “identifying” and not “execute”. Now you can easily eliminate options B & C, since they are Monitoring & Controlling processes. Let us go back to the key phrase. You would know that “Collect Requirements” process is about documenting the requirements while “Define Scope” process is about defining the scope based on the documented requirements. Hence, the answer to this question is option D.
You might ask Why “Define Scope” and not “Collect Requirements”. In “Define Scope”, you look for options and alternatives while “Collect Requirements” deals with freezing the requirements. This is where conceptual understanding of PMBOK Guide Terms is important. To help you with the conceptual understanding of various terms, I have created PMP Mind Maps eBook. It provides keywords associated with each PMBOK Guide term. 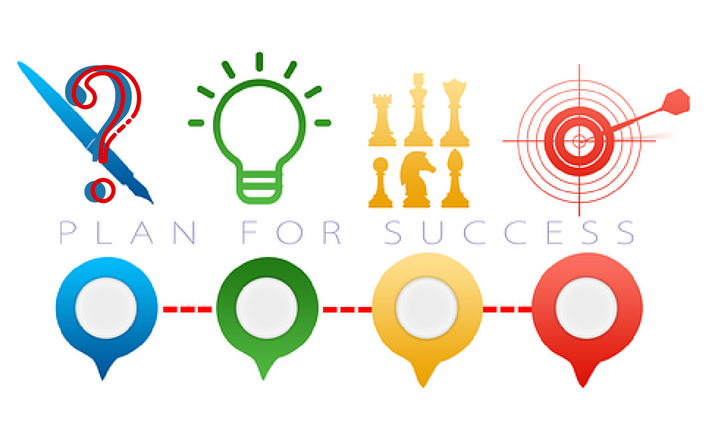 It has mind maps for all 5 Process Groups, 10 Knowledge Areas and 49 processes. After going through the sample question, you would have realized that concepts are more important than the memorization. You need to understand the processes and inputs/outputs conceptually to answer the exam questions correctly. A little bit of memorization is helpful, but pure mugging-up will not take you anywhere. Read the question carefully. The answer will be in the question itself. Identify the key phrase(s) in the question. Understand the purpose of PMBOK Guide processes conceptually. Try to find relationships between different processes e.g. output of process X is input to process Y. Use Data Flow Diagrams described in the PMBOK Guide to understand process and inputs/outputs flow. I have created a comprehensive 34 pages Concepts eBook. It has 75 helpful techniques and 20 explanatory flow charts for answering the exam questions correctly. It also contains solutions & explanations of few sample questions using these techniques. The sample questions are taken from popular public sources to avoid any bias. The eBook will help you in your exam preparation and boost your confidence. And to enhance your ITTO learning, you can also look at my other products for learning PMP ITTO. Do you find questions based on ITTOs difficult? Have you ever tried to memorize the inputs/outputs? Was it easy? What has been your overall study approach so far? How to Answer Exam Questions? I agree to what you have mentioned that answer to the question lies in question. Thanks for providing this tip. Clear explanation about ITTOs. Needful post for PMP candidates. Thank you for your post. Now I am intrigued, can’t the identification of alternative techniques be also part of collect requirements? As you say, output of “Collect Requirements” is an Input to “Define Scope”, I understand why this would be “Define Scope”, however, before feeding the input into the “Define Scope” and establish which techniques should the project consider, I will be gathering information on alternative techniques, in order to select which ones should be more adequate, and this step will be performed during the “Collect Requirements”. Can’t I say that this is part of the “Collect Requirements” as well? Clearly the keyword here is identifying, so I am assuming that “identifying” relate us to “Define Scope”, if instead “identifying” the word in question was “collecting” or “gathering” this would indicate we were in the “Collect Requirements” stage? Thank you for your post. It will be useful for me next year when I start my study towards PMP. As I have suggested in the blog post, it is important to understand the logical concepts behind ITTO. Specifically (for this Q) the meaning of “alternative generation” should be understood. Without conceptual understanding Q will go wrong. “Alternatives Generation” cannot be used for Collecting Requirements. The PMBOK Guide states that “Alternatives Generation is a technique used to…different approaches…perform the work”. Collect Requirements is about “what to do” whereas Define scope is about “what to do, what not to do and how to do”. “Different approaches” is part of “how to do”. Yes, indeed it helps 🙂 Thank you for the explanation. I came across your ITTO PDF guide just a couple of days before my PMP exam. It was a great great help. I am sure I would not have answered some of the questions around ITTO if not for your material. Thanks again for putting together the same. Thank you for the good ideas on how to answer the tricky questions posed in PMP Exam. Can you please send the ITTO PDF guide or spreadsheet for the Sixth Edition PMBOK? Hi! I downloaded the spreadsheet for the 6th edition. My exam in a few weeks will be based off the 5th edition still. Do you have this same spreadsheet for PMBOK 5? Hi Theresa, I have sent it to your email id. Please check. BR, Praveen. Please when do you think the ITTO guide for the PMBOK Sixth Edition will be ready? Thanks for your query. I am working on ITTO Guide based on 6th ed. I plan to release it in the coming week. Thanks the explanation was very helpful. When do you think the ITTO guide for the PMBOK Sixth Edition will be ready? Hi Sarah, Thanks for your kind words. The new guide is available now. Is the ITTO 6th ed ready yet? The previous was very helpful! Hi Ben, Thanks for your kind words. The new guide is available now. Hi Praveen, the explanation of question and PDF is very helpful. Good that I found out about this site! BR. Possible to send me the 6th edition PDF? Your explanation regarding the ITTO was great. Is your ITTO PDF for the PMP 6th edition? Yes, it is based on 6th ed. BR, Praveen. Request you to send me the PMP ITTO PDF Guide for 6th edition. Hi Praveen, Gumroad has very poor reviews and I’m not comfortable rooting my payment through them for fear of unauthorised subsequent debits. Could you provide alternative means of payment, like paying directly to your account on PayPal? Hi, Yes. You can pay via paypal. I will send you a mail for paypal details. Please can you send me alternative means of payment as well (prefereably PayPal). Hi ELIZABETH, I have sent you an email. I ordered the information, but I have not received it. Can you please send asap? The mails to your email id (t****ny@m*******s*******s.com) are bouncing. Can you provide another email id? Can you please give a short overview about the contents in the chart and also with the cost details. Hi Palani, Which chart are you talking about? IF you want ITTO chart, you can go to https://www.pmbypm.com/pmp-itto-cheat-sheet/. I have Read Rita Mulcahy’s guide to PMP 9th edition Thrice each time understanding it better, PMBOK guide- once, I have gone through ITTO’s and understood each and every Technique , Given Mock test 4 times before exam and score 60-75% every time , But still I failed in my first attempt. Now i don’t understand what strategy to use now for my second Attempt. Can you please help me out !!! Hi Santosh, You should read https://www.pmbypm.com/failed-pmp-exam/ and determine the root cause of failing in the exam. Make a list of things that need to be improved and act accordingly. Not able to buy this. Can you share some link for me to pay ? Hi Aashish, I have sent it to your email id. Please check. BR, Praveen.